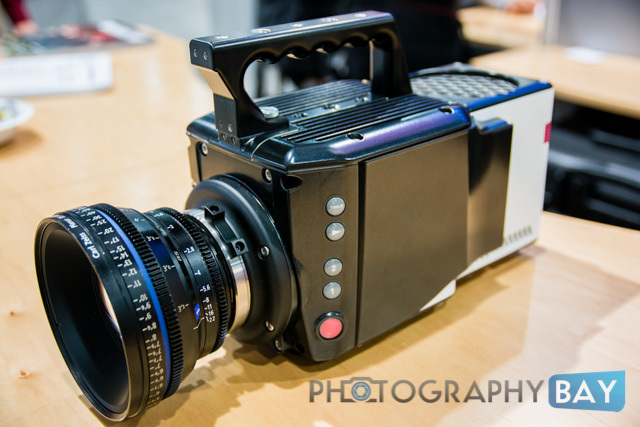 Vision Research unveiled its new Phantom Flex4K cinema camera at NAB 2013. The stunner feature is that it captures 4K RAW footage at 1000fps. I stopped by the Vision Research booth to get a closer look at the Phantom Flex4K and to see some 4K demo footage on a 4K display. Before we get into the build and specs of the Flex4K, check out the below video shot with the Flex4K in 4K. I am sad that we can’t all see this in 4K. At the time of NAB 2013, Vision Research had only had the camera working for roughly 4 weeks and I think they said the burning house video was shot just a couple weeks prior to NAB. So it was still at the prototype level. This video was shot in two days with volunteer firefighters in Connecticut during a controlled burn of a house. It was simply mesmerizing to watch on a 4K display. There is a BTS video in the works, and I will be sure to pass it along once it goes live. Make no mistake, the Phantom Flex4K is nowhere near the same playing field of the HDSLR and low-end cinema cameras that frequently grace the homepage of Photography Bay. 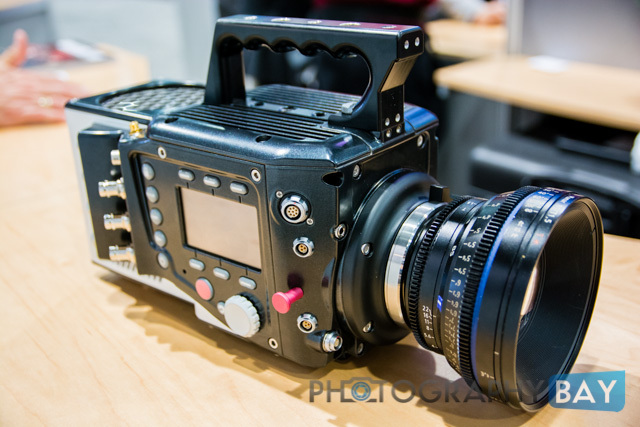 The Flex4K runs about $95k for the barebones camera. A complete system that is ready to shoot in the field will set you back between $108k-$160k, depending on the options you choose . . . . But, holy cow, does it do some amazing things! As noted, the Flex4K shoots 4K video at up to 1,000 frames per second. 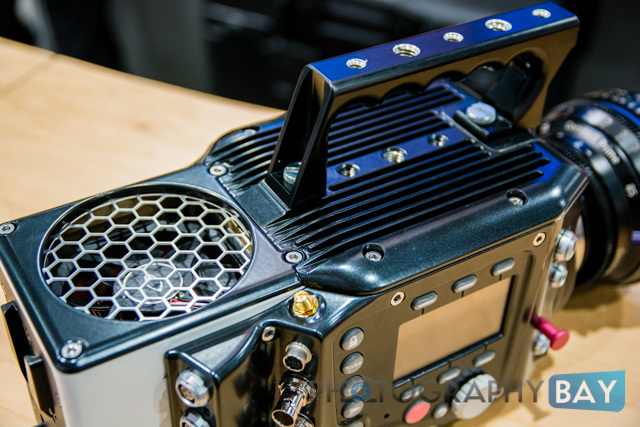 It also captures 1080p video at up to 2,000 fps, or 720p video at up to 3,000 fps. One of the other big capabilities of the Flex4K is the on-camera control interface, which allows you to set the camera up completely on the camera, with no need for external software to control it. The Flex4K features a Super35 format sensor at 27.6 x 15.5mm and has an interchangeable lens mount to accomodate PL, Canon EF and Nikon F/G lenses. And, it is a beefy camera weighing in at 13lbs. Additionally, the Flex4K works with the Phantom CineMag IV media for RAW and compressed recording formats directly on the camera. A 1TB CineMag runs $15k, while a 2TB cinemag runs $25k. 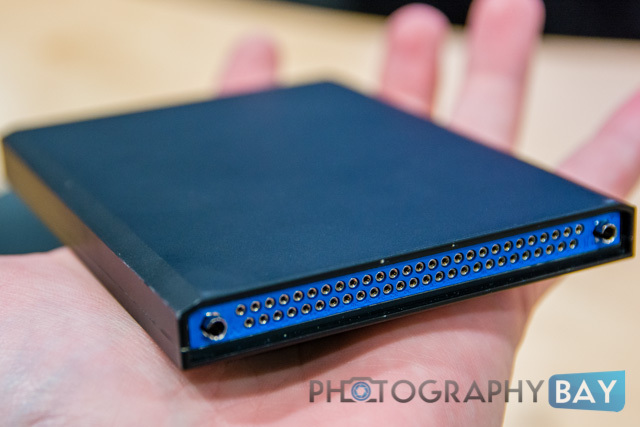 These CineMags are then downloaded via the Phantom CineStation IV via Gb or 10Gb ethernet. 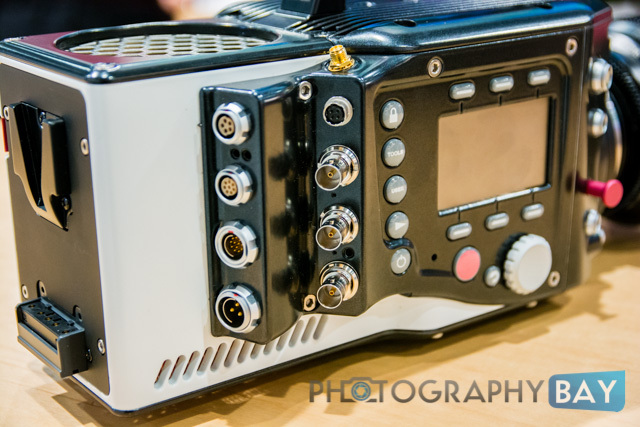 The Flex 4K offers two 3G-SDI outputs for either (2) 1080p 4:4:4 or (1) 4K 4:2:2 signal. Additionally, you’ve got a 3G-SDI return with Genlock support. 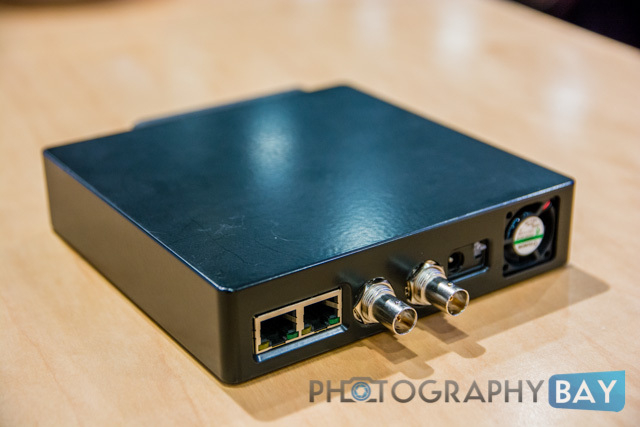 Vision Research also has an in-house viewfinder solution in development to go along with the viewfinder port. An ethernet port offers optional software and file download. 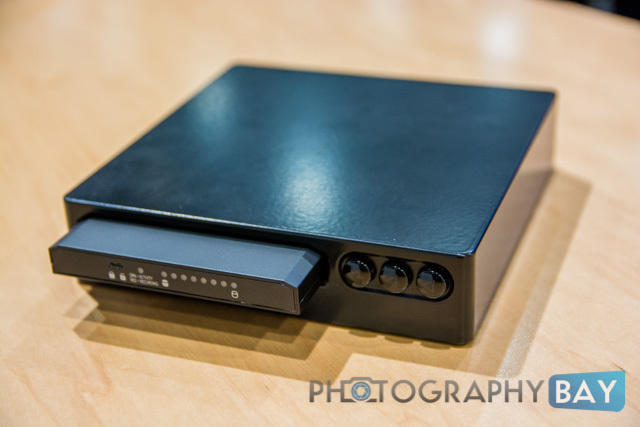 A remote port and Bluetooth antenna allows for remote control of the Flex4K up to 100 meters. Finally, a sync cable is available for multi-camera control and stereoscopic applications. Vision Research will be working throughout the summer to put the finishing touches on the Flex4K. After which, it should be a force to be reckoned with on professional productions. Final release is expected to be Fall 2013.